To provide you and your pet with the best service, we need you to make an appointment for admission. To schedule an appointment, call 440-322-4321 and follow the prompts for animal intake. An appointment enables us to gather important information about your pet’s history and will decrease your wait when you arrive. There will be a small fee charged to bring an animal to the APL. This will be discussed at the time you schedule your appointment. If you cannot pay the fee, please speak to the Intake Coordinator. We cannot accept cats outside of Lorain County during certain months of the year due to space. Don Hitchens has over 20 years of professional experience working with dogs. 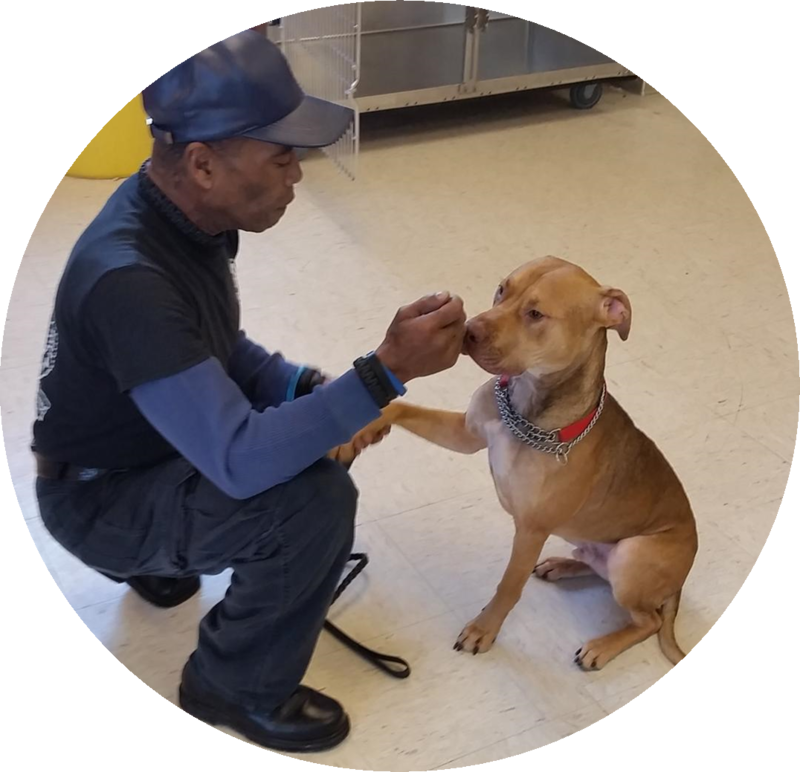 He has spent the past five years training Friendship APL dogs at the Grafton Correctional Institute. He uses a variety of training styles to improve your relationship with your four-legged friend. To sign up or schedule an appointment with Don Hitchens please call Denise at 440-322-4321 X225 or email humane@friendshipapl.org. If you have any questions regarding any of our services, please feel free to give us a call at (440) 322-4321 or send us an email. We look forward to hearing from you soon!